The SUBWAY® Sprocket Rocket Programme registration evening was a massive success with 88 young cyclists signing up for the eight weeks cycling skills programme. Southside Wheely Wheelers cycling club welcome you young Sprocket Rockets to our new cycling club. Cyclists will have a wheely fun time learning the skills of cycling with our Cycling Ireland trained instructors. Cycling skills training will be held in Coláiste Iósaef Secondary School Kilmallock for 8 Saturdays starting 9th April from 4.30pm to 6pm. A special thank you to Coláiste Iósaef Secondary School for allowing our cycling club to do the training at their school. Registration evening for the new SUBWAY® Sprocket Rocket Cycling Skills Training Programme is on Saturday 2nd April from 5pm to 6pm in Deebert Hotel Kilmallock. Full information of the 8 week cycling skills training will be given at registration. The full total cost per youth is 10 Euro for the 8 week training for youths from 7 years upwards, each cyclist will receive a free gift pack of a cycling helmet, a free t-shirt, a free cycling skills logbook and at the end of the 8 weeks training each youth will receive a Cycling Ireland Skills Certificate and a surprise gift from Southside Wheely Wheelers. Cycling skills training will be held in Coláiste Iósaef Secondary School Kilmallock for 8 Saturdays starting on the 9th of April, start time each Saturday is 4.30pm sharp and finishes at 6pm sharp. The cycling training will be challenging but will be fun and an enjoyable way to learn cycling skills and these cycling skills will make them better and safer cyclists. Sunday 27th March club training cycle at 8.30am was brought to you by the letter R (ROCK) MASS ROCK. Southside Wheely Wheelers Club cyclists cycled from Kilmallock, Bruree, Newcastle west, Ashford, Up Mass Rock (tough one) Broadford, Dromcollogher, Milford, Charleville, Kilmallock. Total 110km, it was a Wheely great cycle. Out cycling were, Gerard Finn, Patrick O Donnell, Martin Lane, Stephen Finn, Brenden Houlihan, Paul McCarthy, Stephen O Meara, John Fitzgerald, Gerry Ryan, Ann Cronin, Pauline Dore, Shane O Brien, Jerry Herbert, Michael Duggan, Daithi Creedon, Michael Gammell and Owen Tobin. Beginners Improvers Cycle Saturday 26th March took place at 9.30am, out cycling were Mary McCarthy, Elizabeth Leonard, Janette Murphy, John Swords, Tadhg Murphy and Jason O’Brien. New cyclists are very welcome to our Saturday cycle. Wednesday Night Light Cycle finished last Wednesday evening 23rd March at 7pm. Southside Wheely Wheelers would like to thank our club cyclists who cycled every Wednesday evening since last October, you commitment and dedication to cycling has been awesome. Thank you Night Riders. Out cycling were Paul Ahern, Jerry Herbert, Michael Duggan, Patrick O’Donnell, Stephen Finn, Adrian Gammell, Brendan Houlihan, Owen Tobin, Paul Gammell, Jerry Ryan, Ann Cronin, Liam Carroll, Pauline Dore and Paul Finn. SWW Sunday Cycle 20th March 2011. Sunday cycling has changed to a new time of 8.30am for the summer and this will allow us have 3 hours cycling and back early to enjoy the rest of our Sunday. Sunday 20th March SWW club cyclists met at 8.30am, training cycle took place in perfect cycling conditions. Spring has definitely sprung and it was wheely great to be out cycling in beautiful sunshine. Out cycling were Phyllis Richardson, Gerard Finn, Patrick O’Donnell, Stephen Finn, Brendan Houlihan, Owen Tobin, Paul McCarthy, Michael Gammell, Jerry Ryan, Paul Gammell, Stephen O’Meara, John Fitzgerald and Mike Murphy. Well done. Club cycled from Kilmallock to Ardpatrick, Darragh, Ballanders, Galbally, Emly, Knocklong, Elton Kilmallock. New Southside Wheely Wheelers cycling gear has arrived. Wheely great News: New Southside Wheely Wheelers cycling gear has arrived. Looks wheely Great. Most of our club cyclists have collected the new cycling club gear, anyone still waiting to collect the gear can call to Paul. 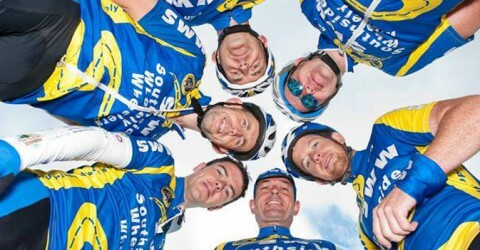 SWW have entered the St Patrick’s Day Parade to proudly display our new cycling club and promote the New SUBWAY® Sprocket Rocket Cycling Skills 8 week Programme starting on Saturday the 9th April, can all cyclists please meet in usual meeting place, the Castle Car Park Kilmallock at 12.30 for 1pm parade. We have 20 Subway Sprocket Rocket T-Shirts for kids of our cycling club member’s children to take part in the Parade to make it a wheely family day. A special thank you to children of our club cyclists who turned up for photo’s for the Vale Star and Limerick Leader news papers on Saturday and on Monday to promote the SUBWAY® Sprocket Rocket. After the parade Southside Wheely Wheelers Cycling Club invite you and your family for a social evening for a few drinks and food in O’Dwyer’s Bar Railway Road Kilmallock at 4pm. Southside Wheely Wheelers cycling club Sunday Training Cycle. Sunday Cycle 13th March. Cold start to the Sunday morning cycle at 9.30am from the Castle Car Park next to Kilmallock Cycles but then as the cycle progressed, cyclists were drenched in beautiful sunshine for a wheely enjoyable Sunday training cycle over three tough climbs. Well done to John Fitzgerald, Patrick O’Donnell, Daithi Creedon, Michael Gammell, Brendan Houlihan, Brian Finn, Shane O’Brien, Stephen Finn, Owen Tobin, Mike Murphy, Stephen O’Meara, Paul Finn and Paul Gammell. Saturday 12th March Beginners / Improvers cycle was a difficult day for cycling due to falling snow and strong cold winds. This did not prevent our determined cyclists who completed 30kms. A special well done to Tadhg Murphy, Janette Murphy, Jerry Ryan, Sean Burchill and John Swords. Wednesday Night Light Cycle at 7pm continued last Wednesday 9th March. Out night light cycling were Janette Murphy, Daithi Creedon, Brendan Houlihan, Owen Tobin, Paul Gammell, Jerry Ryan, Micheal Leahy, Paul Finn, Michael Gammell, Jerry Herbert, Mike Murphy. Well done all. Sunday 6th March training cycle took place in perfect cycling conditions. Spring has sprung and it was wheely great to be out cycling in beautiful spring weather. Out cycling were Brian Finn, Mike Murphy, Sean Burchill, Gerard Finn, Michael Gammell, Jerry Herbert, Paul Finn, Jerry Ryan, Stephen Finn, Patrick O’Donnell, Daithi Creedon, Brendan Houlihan, Paul Ahern and Paul Gammell.